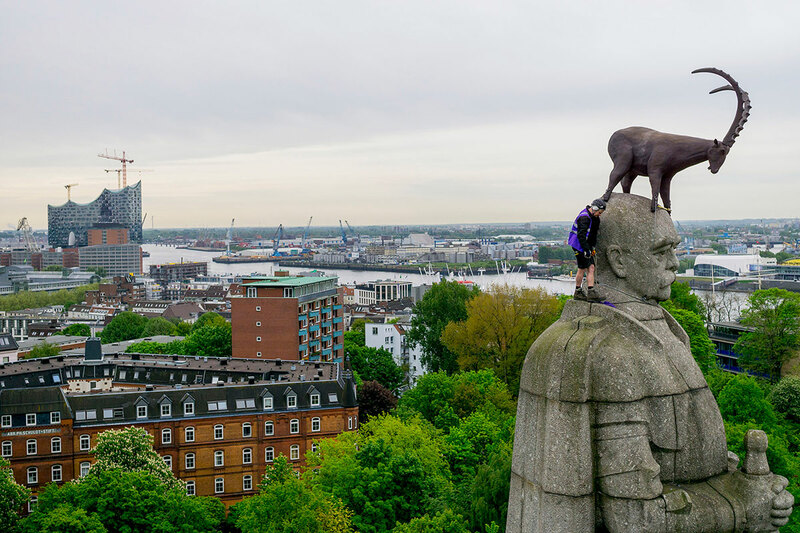 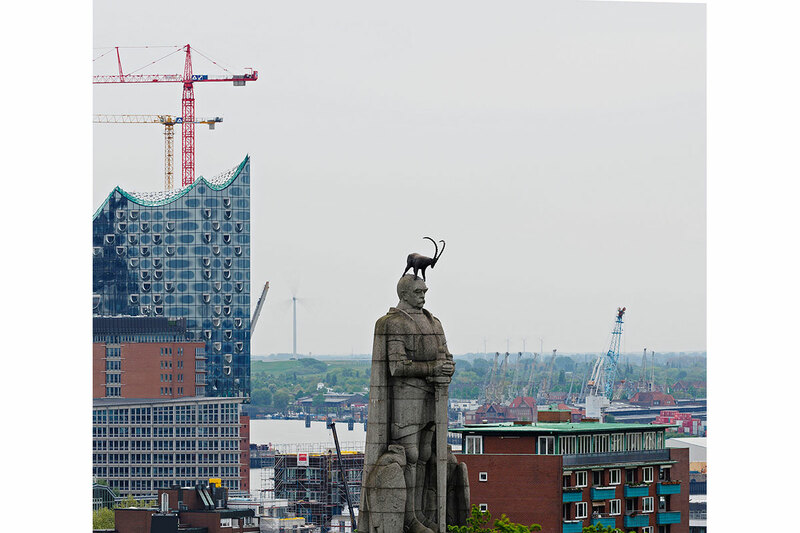 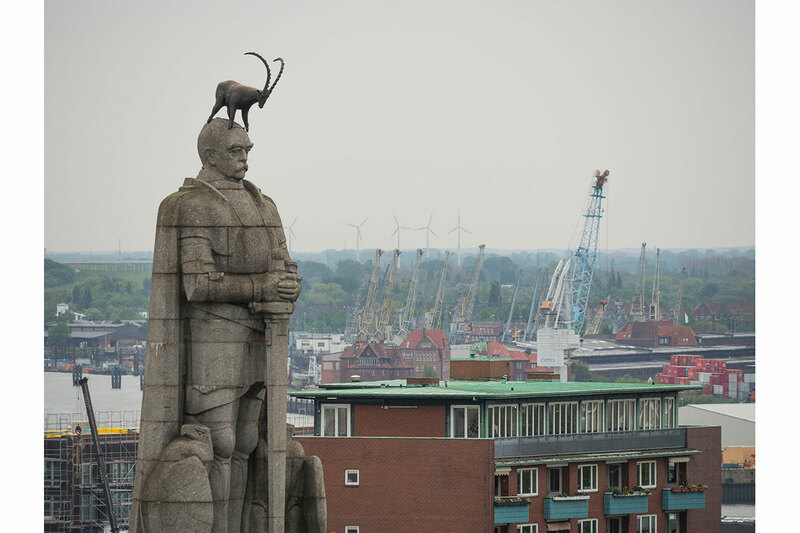 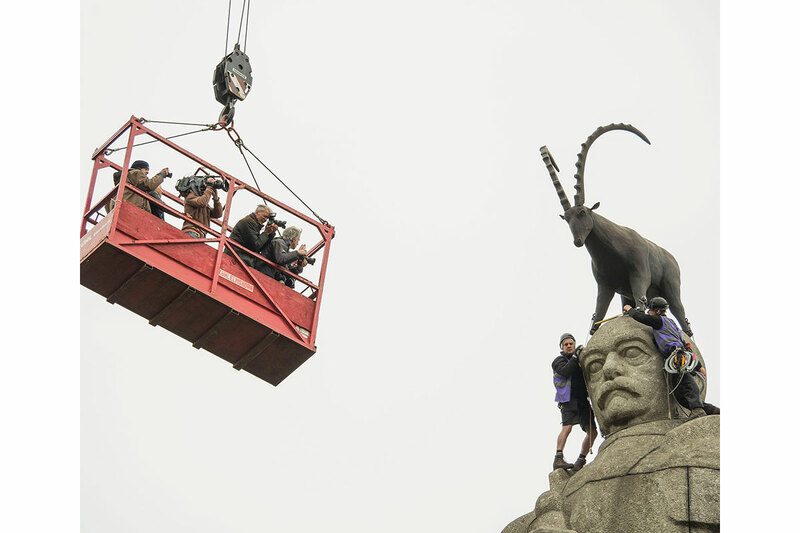 An ibex mounted on the head of the Bismarck monument repurposes the original sculpture – a famous landmark of Hamburg – into a plinth. 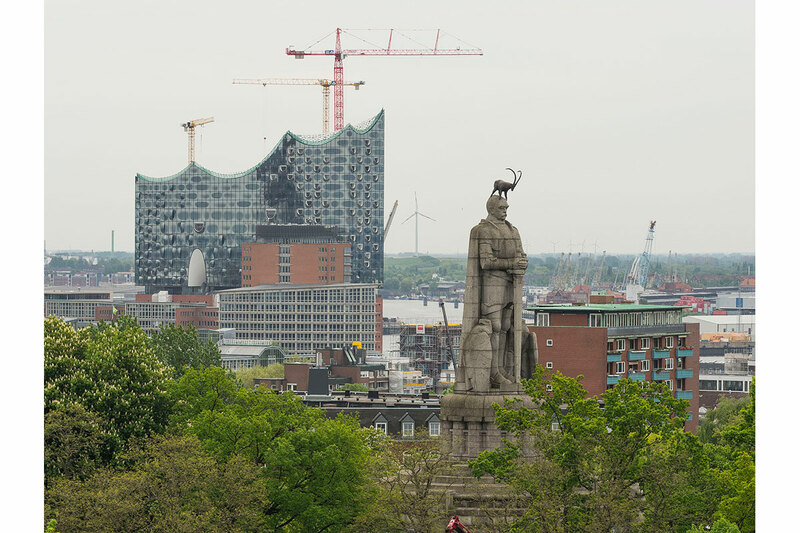 At the same time, the Hanseatic city is thus transformed into a mountain landscape, as if symbolically renaturalising civilised living spaces or returning urban architectures to a “wild” state. 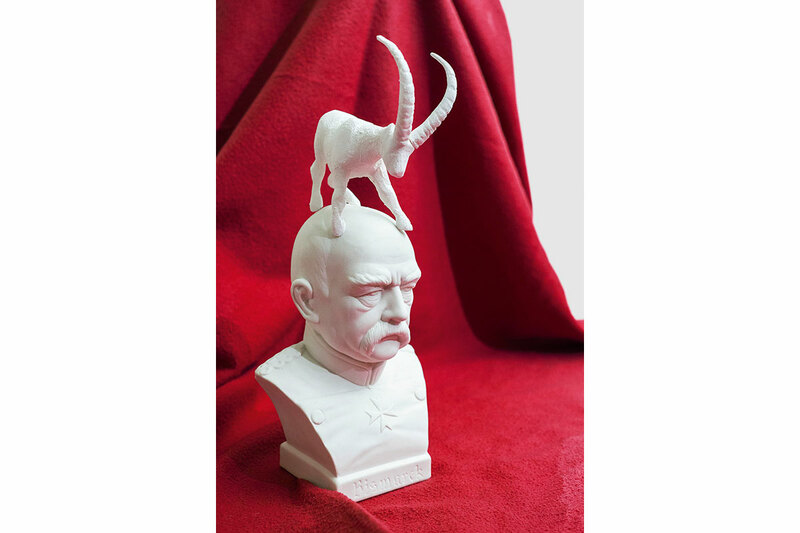 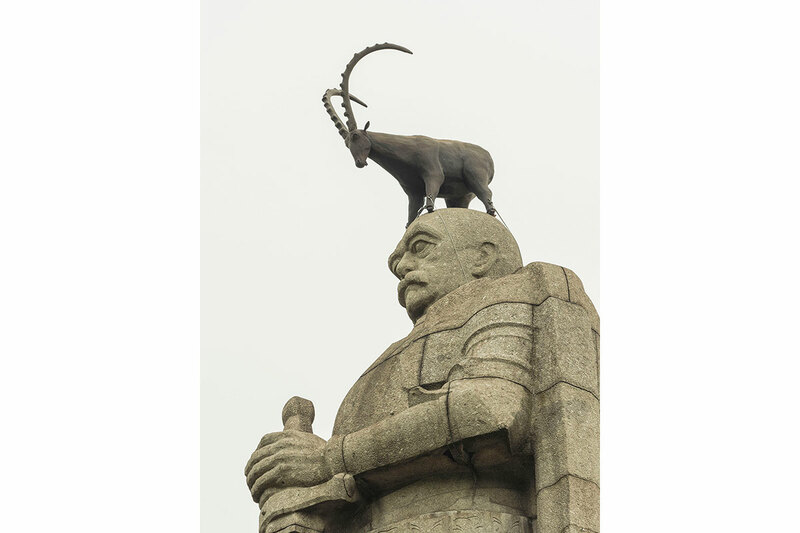 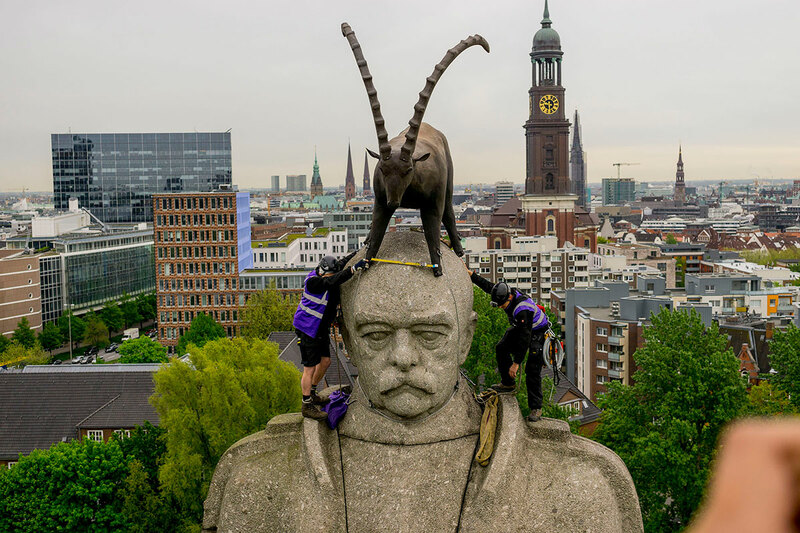 The placement of the slightly enlarged ibex on the head of Hamburg’s 47-metre-high Bismarck statue (the largest of its kind) also highlights the gigantomania of the Bismarck cult. 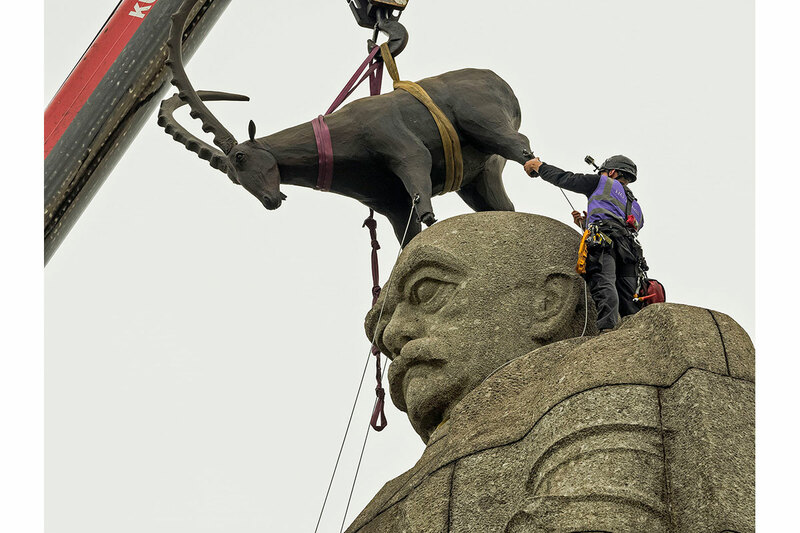 In view of the resurgence of German nationalist ideas, it is also a comment on current events.